Shredder fines, bottom ash and cars can now be recycled with remarkable results of more than 98% metal purity rates, thanks to the new RecoverMax system from Joest. The highly energy efficient, low wear machine is currently the best machine on the market for metal recovery. The RecoverMax system features 5 key component machines, working seamlessly together; the TOPCILLA, K-Sifter, RecoverMax, Double-Deck-Screen and Triple Separation Table. This industry-changing interaction of parts has a worldwide patent pending. It is the result of a partnership of long-term experience and application know-how, between JOEST and BPS in an attempt to revolutionise metal recovery from shredder fines and bottom ash. The process begins with the concentration of long copper cables through the JOEST Long Part Separator, before the screening of the fraction 0-12mm with approximately 4mm in the JOEST Flip-Flow Screen TOPCILLA. The particles then continue their journey to the K-Sifter, a combination sifter and separation table. This uses the same process air, which considerably reduces exhaust air volumes. At this stage, ultralight particles are sucked off, leaving the heavier materials to feed into a new separation process. In the next separation process, the RecoverMax separates the heavier material from mineral components, and a drum magnet removes residual magnetic components. The screening machine at the Double-Deck-Screen stage classifies the remaining fraction into three sizes. The final stage passes the material to a Triple Separation Table where the remaining material is treated in three parallel chambers according to their different sizes. 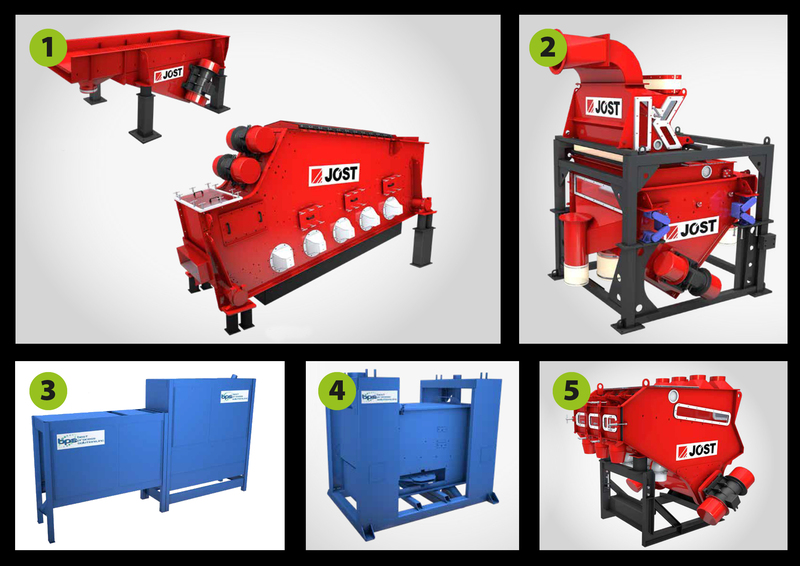 This system, developed and tested over several years together with the JOEST treatment technologies, ensures the high quality standard in metal recycling. If you would like to learn more about RecoverMax and the cost saving benefits of efficient metal recovery, contact PRM today.